A VERY RARE SPECIES OF AQUACULTURE! 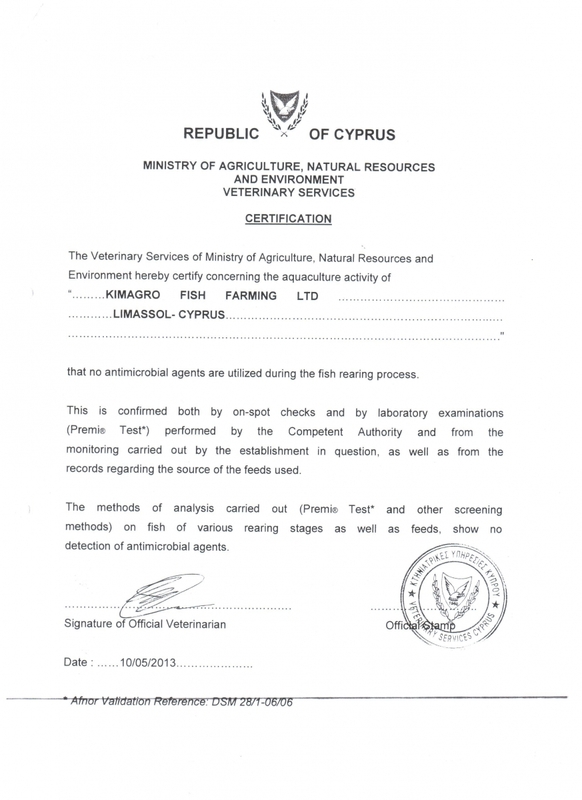 Kimagro requests a ‘Premi Test’ from Cyprus Veterinary Authorities in order to certify that no antimicrobial agents (antibiotics) are used during the fish rearing process. This means that several sample analyses take place both by the local Vet Authorties and the Company on a separate basis, throughout the year in order for this Certificate to be produced in confidence for our customers. 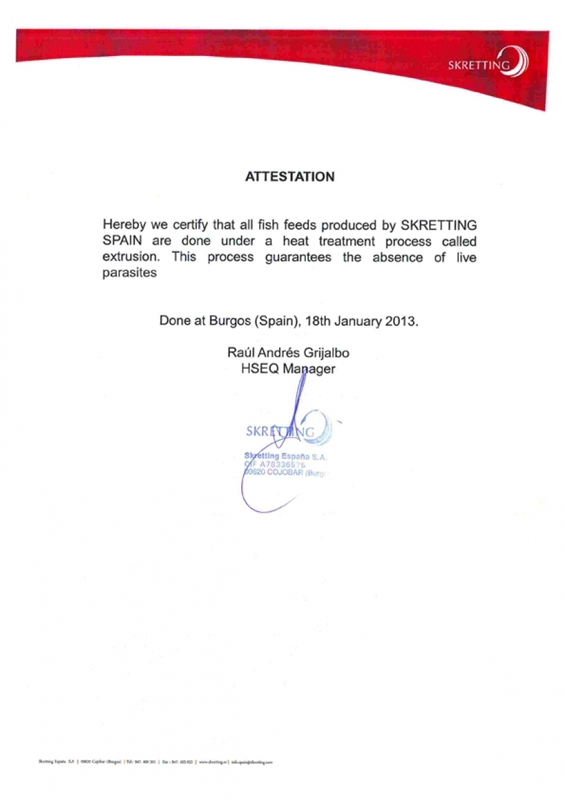 Kimagro uses sustainable fish feeds that are under the full control and high standards of the Manufacturer who provides our Company with a confirmation notice of their heat treatment process.